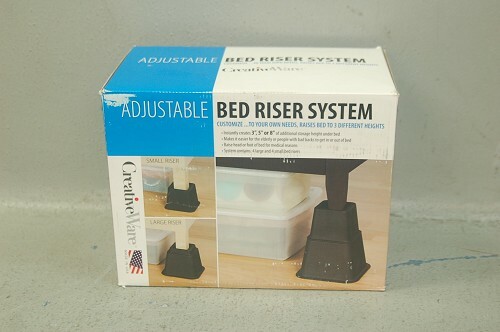 Adjustable Bed Risers are an ideal way to raise your bedskirt off the floor or instantly create additional underneath storage space! 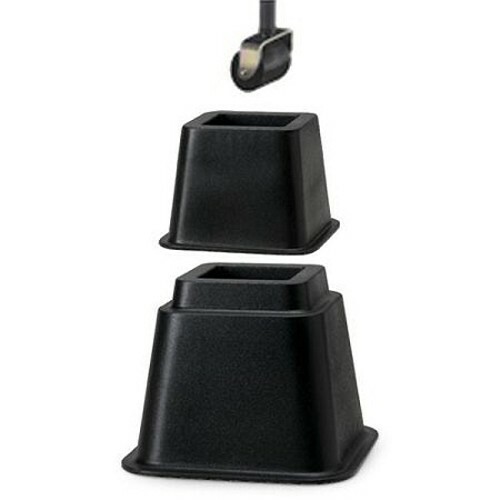 With these in place, you can make room for tubs, boxes and other items. 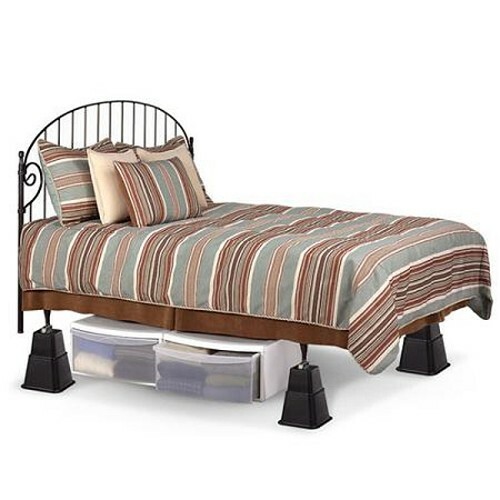 You can also enjoy the benefits of an elevated sleep space in a room with a television or windows, as you'll have a better view of everything surrounding you. 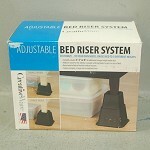 The bed leg or caster fits securely into the recessed cup built into each one. 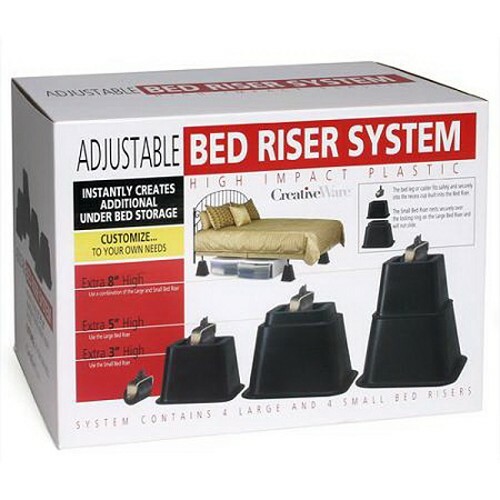 With such a tight fit, you will not have to worry about excess movement or instability. 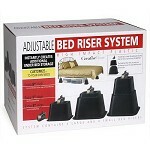 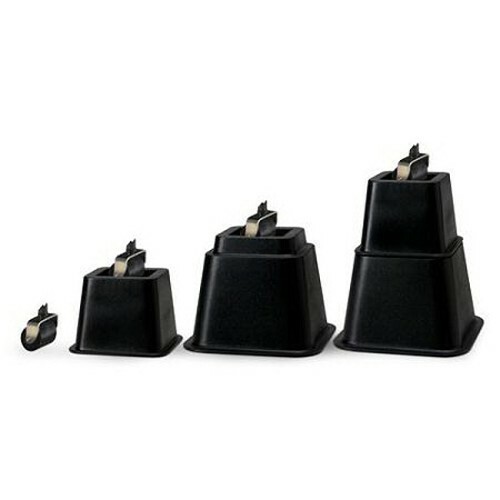 With the home bed risers, you can elevate your furniture piece 3", 5" or 8" higher. 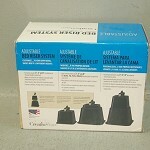 They are made with quality materials to ensure they hold up against regular use. 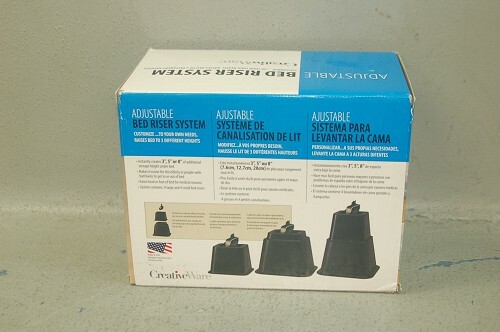 The Creative Bath bed risers also blend seamlessly with all frames and decor for a uniform look. 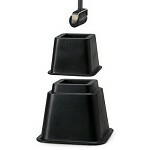 Change the height of your furniture with ease using this simple-to-install product! Elevate your bed 3", 5" or 8"